We have heard it before, have we not beauties? Don't you agree that our eyes are the windows to our soul and to the big universe as well? You must agree, I'm literally forcing you to agree. It is the truth, the whole truth, nothing but the truth. Take it from nava-k, also, remember, our eyes transmit all sort of messages - how sly we are, how "wicket witch" we are, how sincere we are and how "gunho we are". Our eyes, indeed, they speak about us, they conquer our beauty and they are needed for viewing the world in the right or wrong angle. Neglect your eyes, and you are in beauty trouble. Tiredness I believe is one of it we can't avoid in this virtual era, tired eyes in return implies a couple of things. Lack of sleep, we are troubled, we are working very hard and of course, we are constantly staring at our expensive high-tech gadgets. Aha! Everything ultimately I believe, boils down to stress and lack of sleep. Yes so (Hylexin Dark Circles Eye Cream). But all is not the end of the road. Nope. We can still do something about our tired eyes and beneath and around them dark circles. Eye cream does work, I am denying, but we still, I think, need a weekly eye treatment. We do? Oh-well, if you want to look presentable and polished. How about then, saying hi to this La Colline Cellular Vital Eye Mask? Almost RM400.00. I know, I have been busting my credit card, well, I suppose for the sake of lightening my dark circles, I paid. 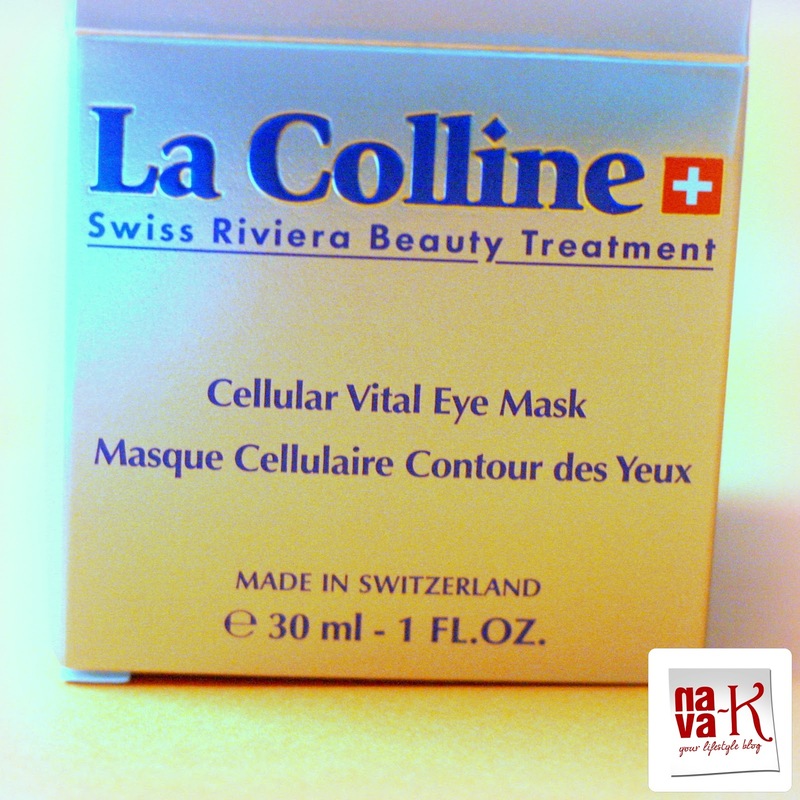 La Colline Cellular Vital Eye Mask is an anti-ageing cream mask for protecting the youth of the your eyes against hazards of everyday life. As I have already said, what else can it be except stress, overworking our eyes, lack of sleep and pollution. 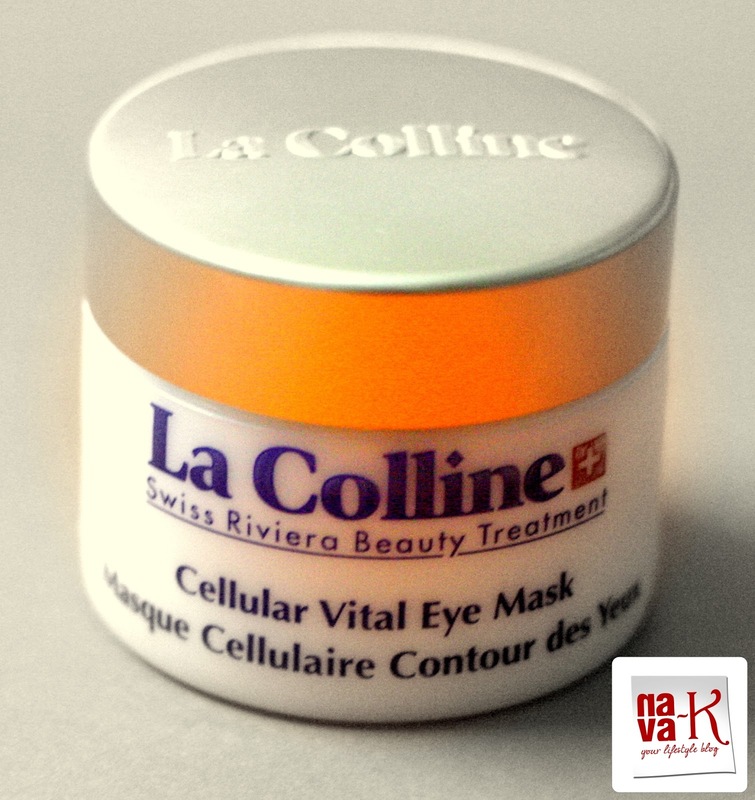 Formulated with high concentration of CMA complex, La Colline Cellular Vital Eye Mask stimulates cellular activity, improves hydration and firms the eyelids, its fresh and soothing texture containing decongesting (rose water and cornflower) and anti-inflammatory (mallow and St John's wort) plant extracts, potentially should instantly soothe and refresh your eyes. To use, sorry ladies, spatula is not provided, so, scoop with your clean fingers and then, gently circle it around your clean eyes. Leave it on for 10 to 15 minutes, thereafter, wet your hands in warm water, gently circle on/around the mask for loosening and removing it with cotton pads soaked in warm water. 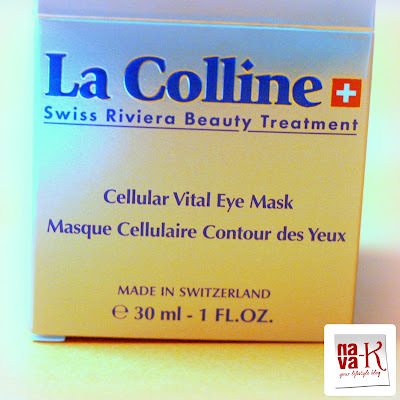 My take on La Colline Vital Eye Mask. Its creamy and light formula may look slightly heavy but, you won't struggle with applying. Do it without pulling or stretching the skin around your eyes, also, when removing it. It won't irritate, nor will make your cry. It worked for lightening my dark circles. In fact, I did notice the difference immediately after using for the first time. Subsequently after 2 months, there's been vast improvement. I am happy, I am satisfied. My dark circles are less visible now. Any way for the price I paid, it better work and since this is the first eye mask I have ever used, perhaps results showed up instantly and constantly. 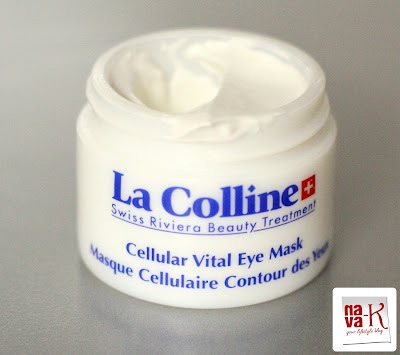 Will I repurchase La Colline Cellular Vital Eye Mask again? Too early to speak, I still have a long way to go. I have not even finished 1/4 of it. So, let me just leave it as it is for the time being. Looks like a very effective product. 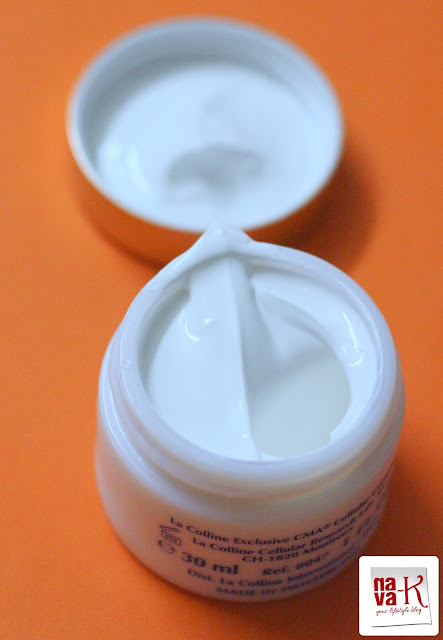 I've yet to try cream mask. Lovely review, Nava!